Urinary tract stones is one of the important topics in the medical world because of their harmful effects to kidney and urinary system if not addressed. WHAT IS KIDNEY STONE? A kidney stone is a solid piece of material that forms in a kidney out of substances in the urine. A stone may stay in the kidney or break, loose and travel down the urinary tract. A small stone may pass all the way out of the body without causing too much pain. A large stone may get stuck in a ureter, the bladder, or the urethra. A problem stone can block the flow of urine and cause great pain. 3. Magnesium ammonium phosphate stones. 5. 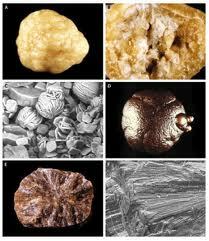 Cysteine stones and other stones. 1. Genetic factors according to the same person. 2. Environmental factors such as foods rich in protein, the lack of fluids intake and high environmental temperature, especially in the summer. 3. Changes in the nature and properties of the urine in people susceptible to have stones in the urinary tract, such as increased calcium, uric acid and oxalate and lack of urine citrate. 4. Frequent occurrence of urinary tract infections, especially in women and in patients with diabetes. 5. Obesity and weight gain. 2. Urinary bleeding or sour urine. 4. Slight rise in body temperature. 5. Recurrent urinary tract infections. 1. Persons who have suffered from urinary tract stones previously. 2. People who have members of the same family suffering from urinary tract stones. 3. People who suffer from general diseases which cause urinary stones such as gout. 4. People living with one kidney. 6. People who suffer from frequent urinary tract infections, especially ladies and diabetic people. Assessment is taking the medical history ,the medical examination and lab analysis and X-rays for urinary tract with stones analysis if found with the patient. 2 – Avoid exposition to high temperature a long time of the year. 4 - The correct treatment of recurrent urinary tract infections. 5 - Exercises and treatment of overweight and obesity. 6 - Visit the doctor in case of renal colic or bleeding in urine. 1- Treatment of renal colic. 2 - Treatment of disorders of blood and urine calcium . 3 - Treat high blood uric acid . 4 - Other medicines given according to each case. 2 - Fragmentation and extraction of stones from the ureter, bladder, kidney laparoscopically. 3 - Open surgery to extract the stones from the urinary system.